‘Superfoods’ have become such buzzwords that it can be hard to know what really is a super food. When it comes to making the most nutritious choices for the youngest members of our family, the following ten foods are truly super – they’re all nutrient-dense, rich in a variety of vitamins, minerals, proteins and/or essential fatty oils. 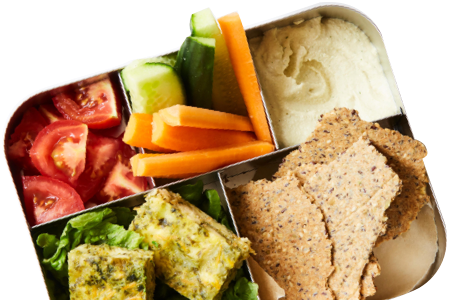 Introducing your little ones to some (or all) of these foods at an early age can help create the best possible eating habits and food choices in later life. Coconut oil is an excellent addition to a baby’s diet as it contains lauric acid, also found in human breast milk, which can boost the immune system, improve digestion and balance the blood sugar. Coconut oil raises HDL good cholesterol and because of its high smoke point, makes for a great ‘high heat’ cooking oil. It’s ideal for using in meat, vegetable or fish purees. Fresh coconut flesh is an excellent addition to any smoothie, puree or it can be eaten as a finger food. Coconut flour can be used to create delicious grain-free and gluten-free breads and muffins too. Chia seeds contain a higher ratio of antioxidants than blueberries and have more calcium than whole milk. They’re very high in Omega-3’s, magnesium, fiber, iron, potassium, and protein. Introduce them to babies from around 7 to 8 months onwards by adding them to porridge, soups, muffins, rissoles, chia pudding, falafels and smoothies. Quinoa, unlike other grains, is a complete protein making it a true superfood. It’s high in lysine (an amino acid important for tissue growth and repair), manganese, magnesium and iron. Quinoa is a gluten-free grain and is a great alternative to rice and oat porridge. It can also be used instead of brown rice in sushi rolls. Bone broth is a nutrient-dense food which acts like a multivitamin for babies as it’s high in calcium, magnesium and phosphorus, making it excellent for their growing bones, immune and digestive systems. From six-months-old, add bone broth to vegetable purees and casseroles. Check out our delicious recipe here. Blueberries are rich in antioxidants, vitamins, minerals and amino acids. They’re especially great for babies as they help oxygenate the blood and promote a healthy immune system. Choose fresh or frozen organic and locally grown blueberries whenever possible, and always wash berries before serving. Introduce at approximately six months. Grass-fed beef and lamb are rich sources of iron and immune-boosting zinc. Iron-rich foods are especially important for breastfed babies from six months onwards. Grass-fed meat also contains higher amounts of vitamin A, vitamin E, (CLA) and Omega-3’s which are all important for immune health and cognitive development. Offer these as purees from approximately six months onwards. Salmon is rich in Omega-3’s, a powerful anti-inflammatory and brain-boosting oil for babies. Babies whose diets are rich in these oils suffer from fewer infections, can display enhanced brain function and improved vision. Another benefit is that most salmon (especially wild and organic salmon) have lower levels of mercury than other oily fish. Serve from six months onwards. Try these delicious Salmon and Millet Rissoles for a finger food treat. Vegetables like broccoli, Brussel sprouts and spinach are packed with vitamin A, vitamin C, fiber and calcium. These essential micronutrients are needed to fight infections and boost baby’s immune system. Introduce spinach and kale, mixed with other vegetables as a second stage solid, and serve them with healthy fats such as coconut oil, ghee or olive oil to enhance the absorption of fat-soluble vitamins. Eggs are a great source of high-quality protein. They provide growing bodies with essential amino acids and are one of the few foods that naturally contain vitamin D, which helps the body absorb calcium and supports proper bone growth and development. Eggs also contain choline (for brain function and heart health), selenium (for thyroid function), vitamin A (for healthy eyes, bones and teeth), as well as a rich supply of B vitamins. Introduce the yolk as early as six months and the white later on. Mandy Sacher is a pediatric nutritionist, mom and author of the Australian bestseller The Wholesome Child: A Nutritional Guide with More than 140 Family-Friendly Recipes, which includes a host of nutritional information and guidance, along with allergy-friendly recipes and a range of menu planners suitable for busy families. This is available to purchase online and via iTunes here. 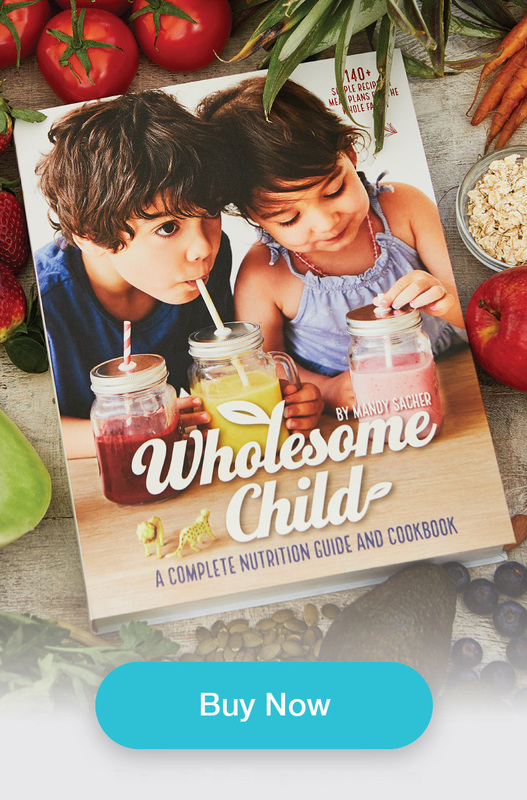 Already in Australia – and now in the United States – The Wholesome Child: A Nutritional Guide with More than 140 Family-Friendly Recipes is available online through Amazon, Barnes and Noble, Target, Walmart and other leading bookstores. Learn more about Mandy’s Group Workshops here and connect with her on Instagram, Facebook and Pinterest.